A classic martini glass is a must for every home bar. 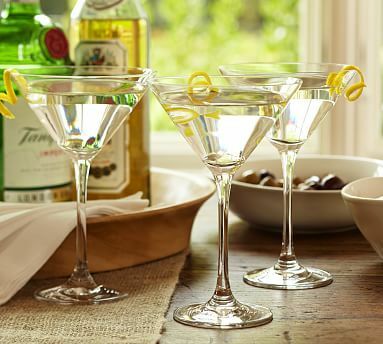 The Schott Zwiesel Classico Martini's are perfectly proportioned - not too small, not too big and well constructed. Made in Germany of lead-free crystal. The patented Tritan glass ensures brilliant clarity, dishwasher safe and break resistance. Click the button below to add the Classico Martini Glass by Schott Zwiesel, Set of 2 to your wish list.